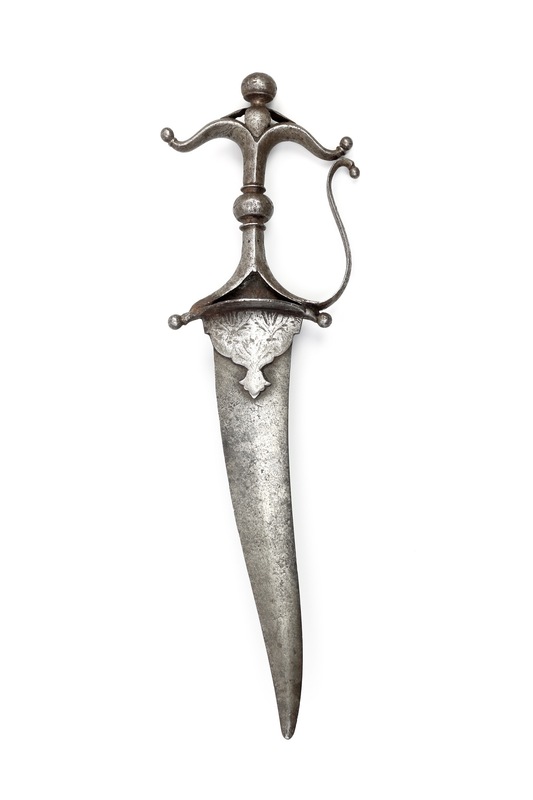 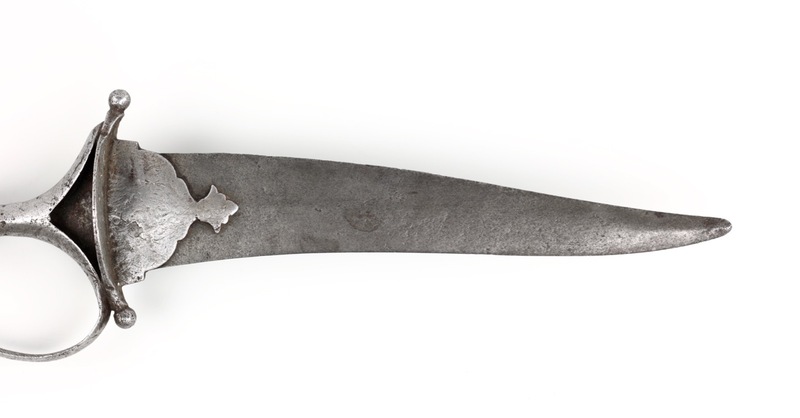 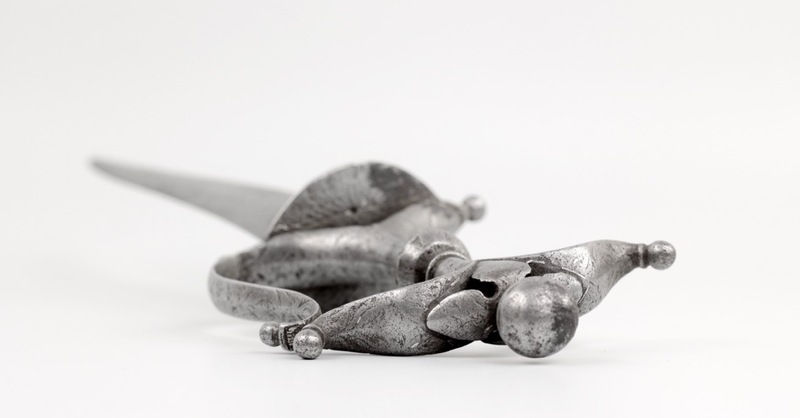 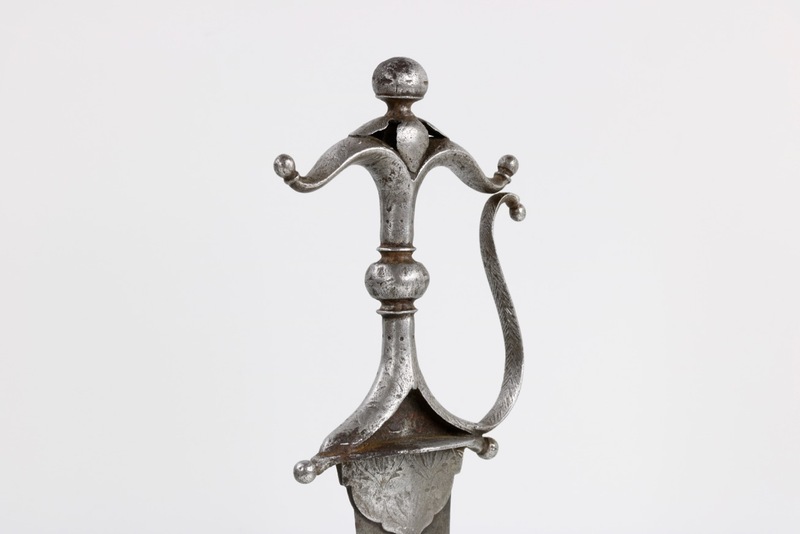 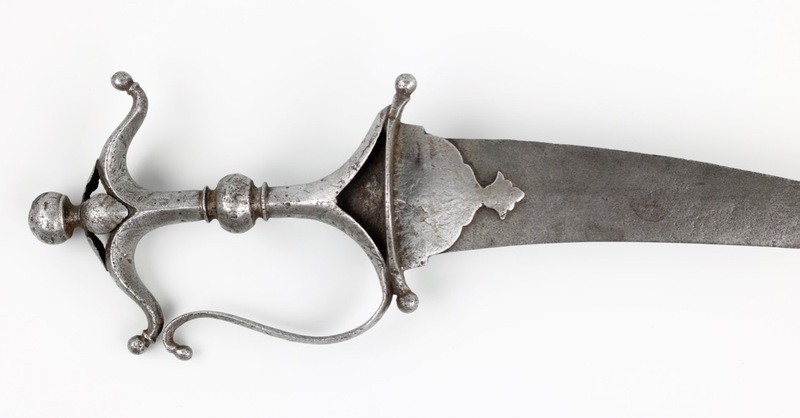 A charming chilanum dagger with classic, sculptural all-steel hilt. 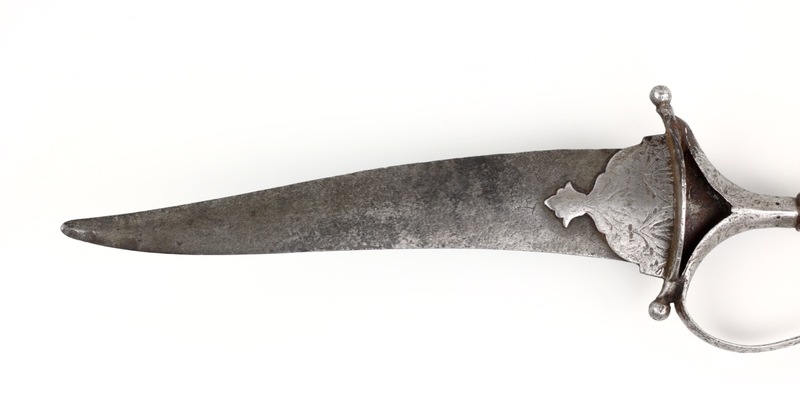 The blade of lenticular cross-section with very mild swelling near the tip. 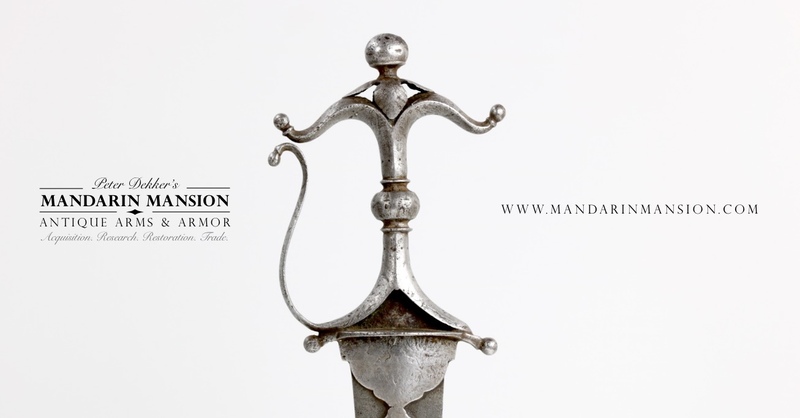 The guard oval and hollow on the blade side. 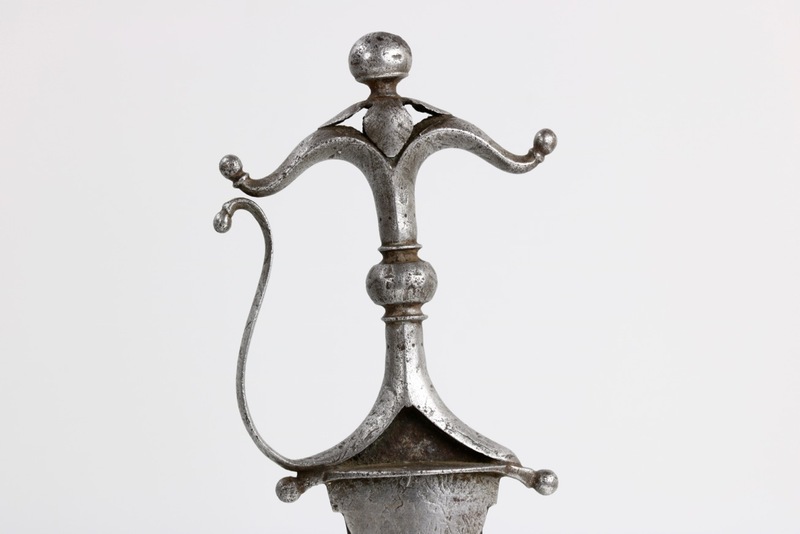 Rising from the guard a structure resembling a gable roof, with bud-shaped protrusions on either end. 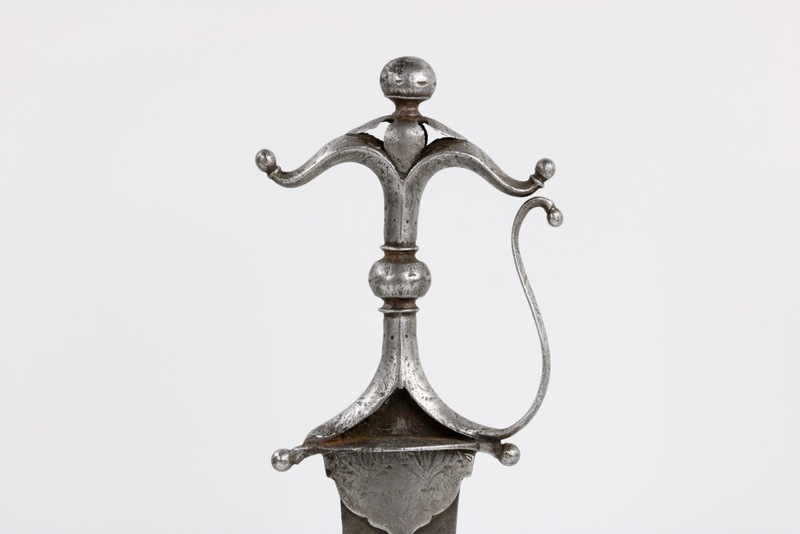 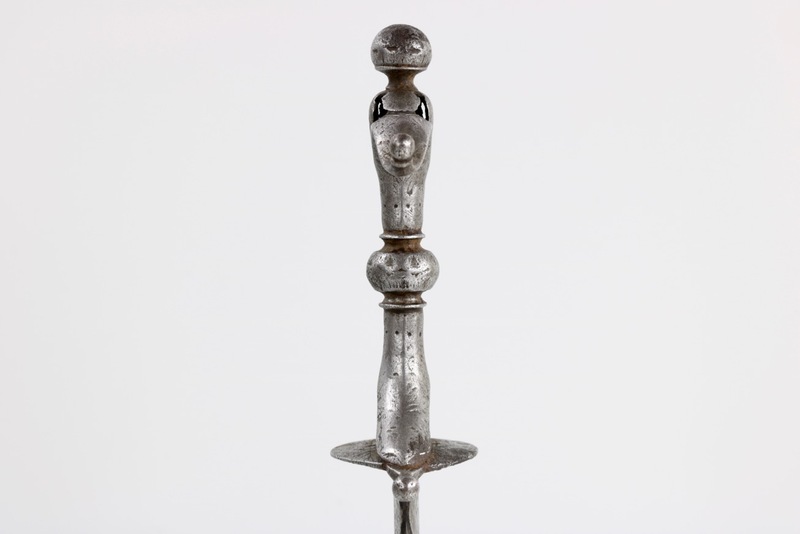 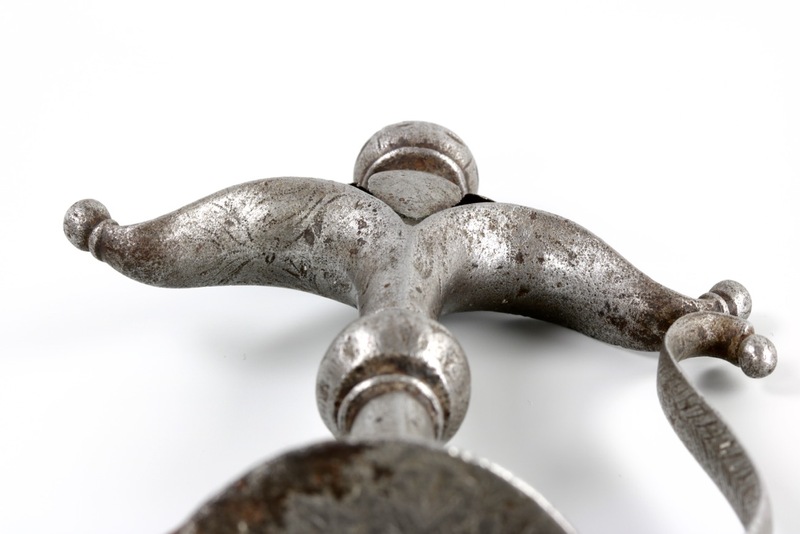 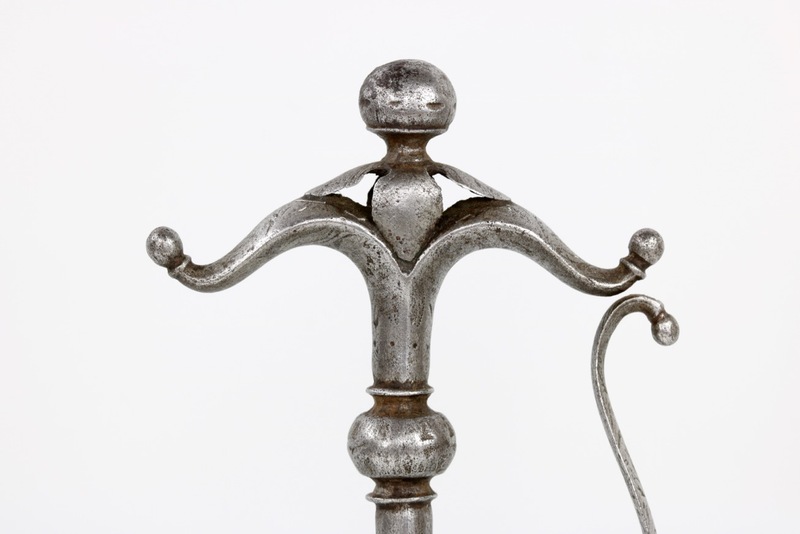 The stem-shaped handle has a knob in the middle and an elegant splayed pommel, again with bud-shaped finials. 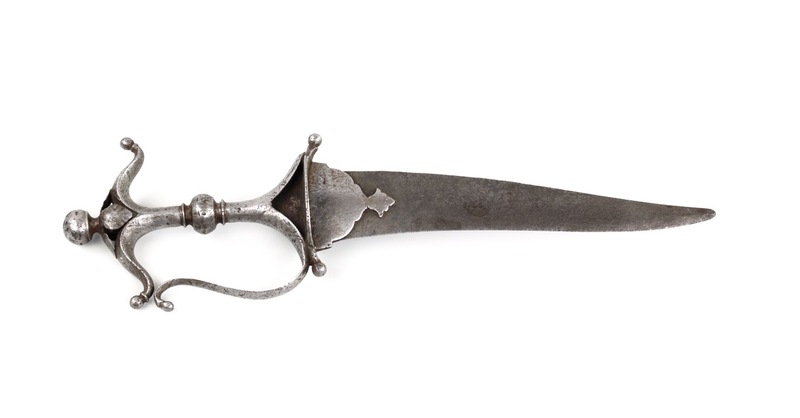 So far all hallmarks of the Deccan variety of the chilanum dagger. 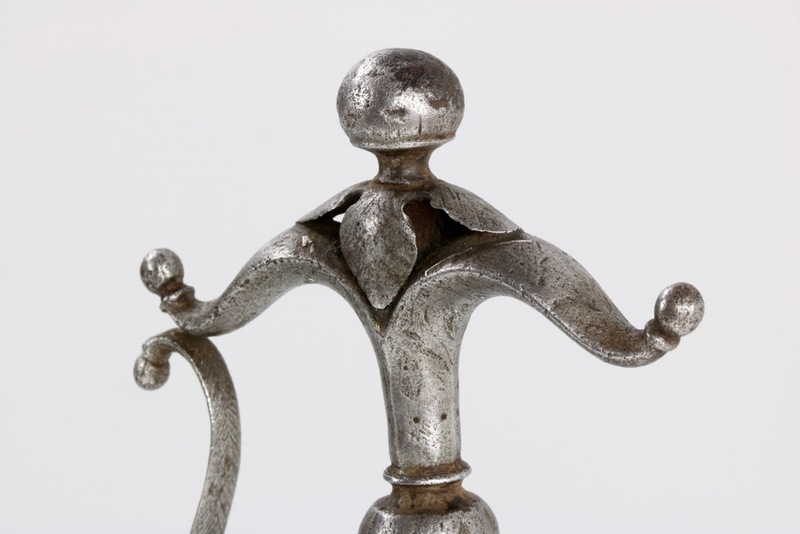 At the very top is a knob that sits on four leaves, a rarer feature. 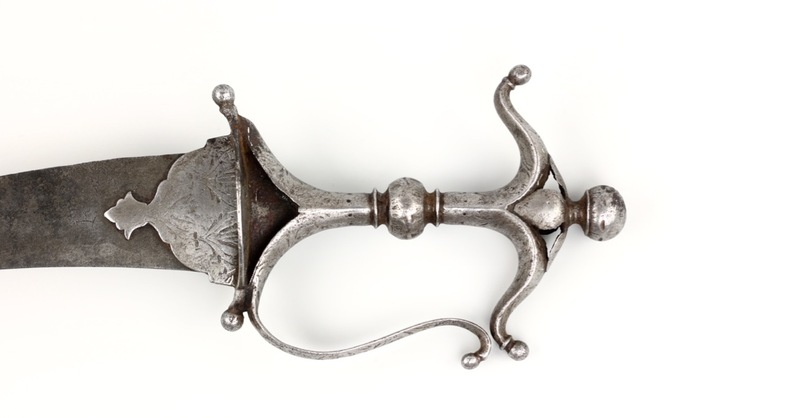 The handle further has a gracious knucklebow of pronounced S-shape with a bud finial at the end. 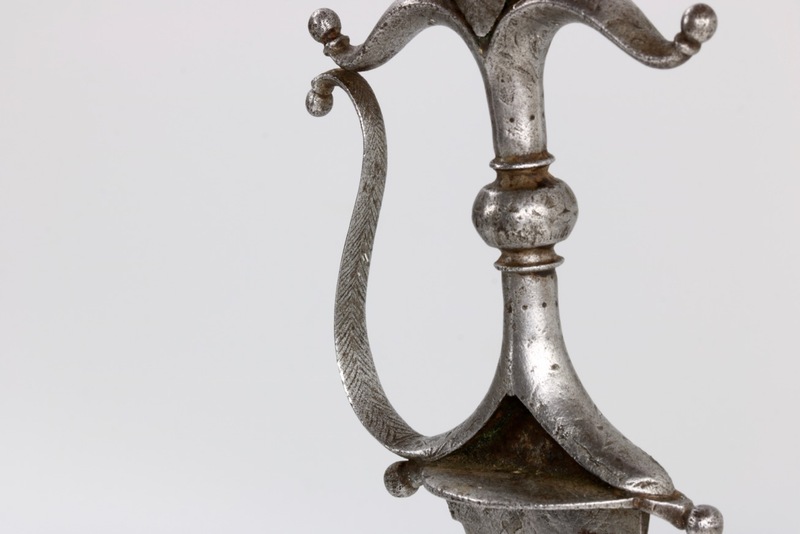 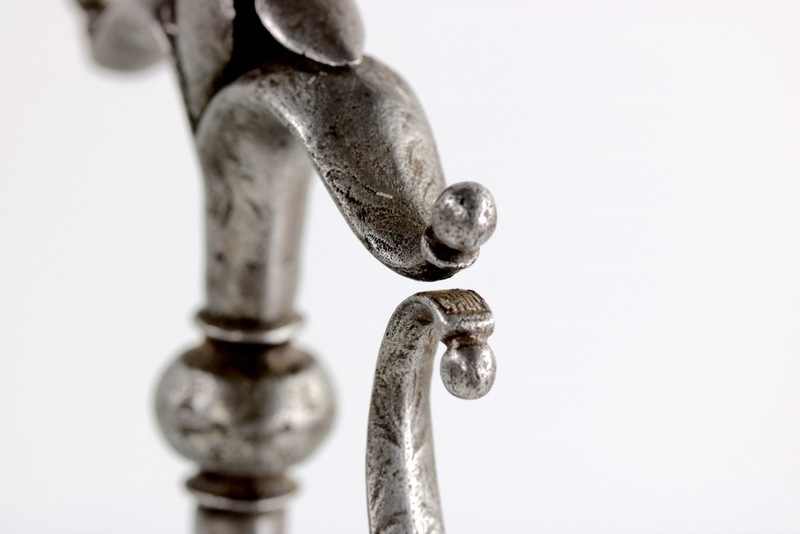 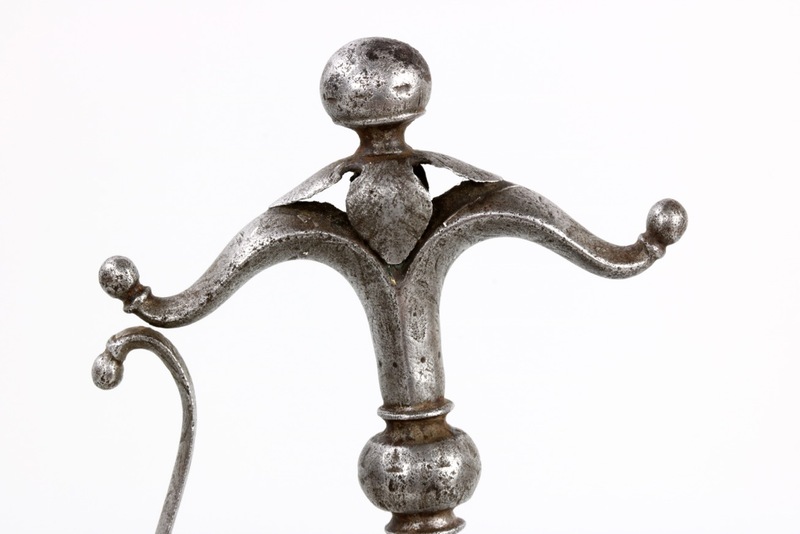 Handle and langets show remains of silver inlays in floral and geometric motifs, see photos. 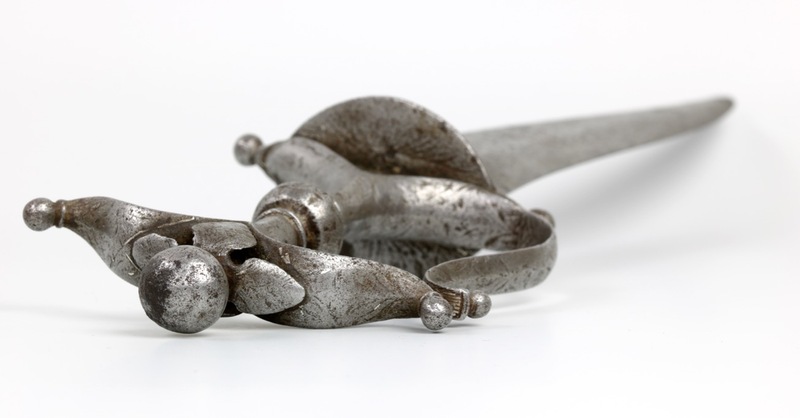 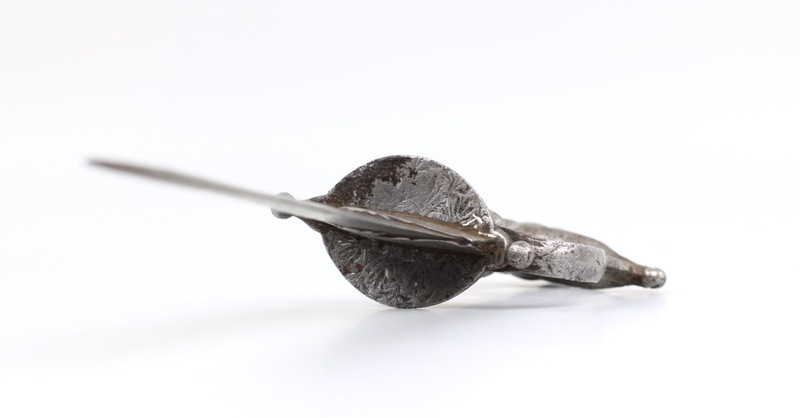 Arguably one of the most beautiful forms of daggers, chilanum are functional works of art. 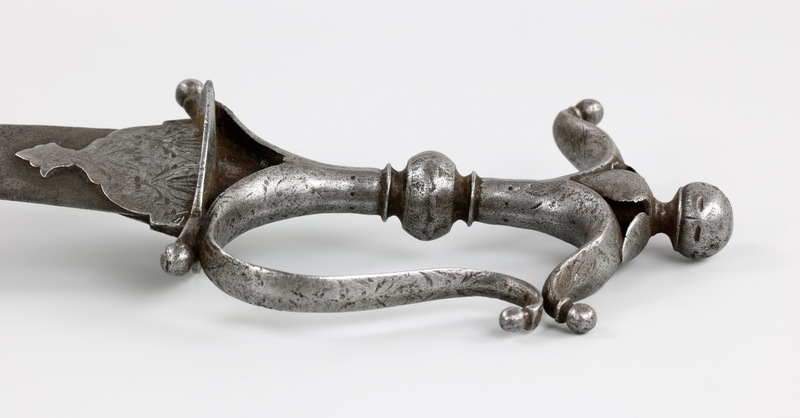 Here we have a very elegant and representable example of the Deccan chilanum . 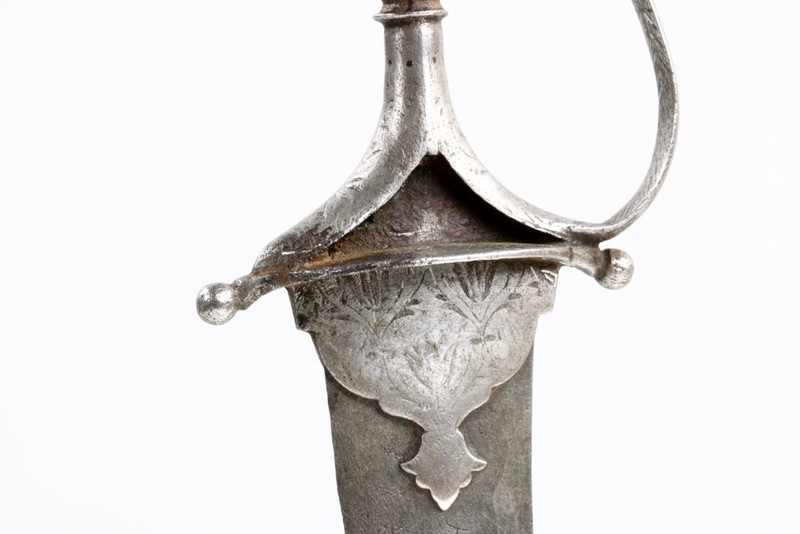 Many are overly cleaned in recent times, this one remains in original, untouched condition.